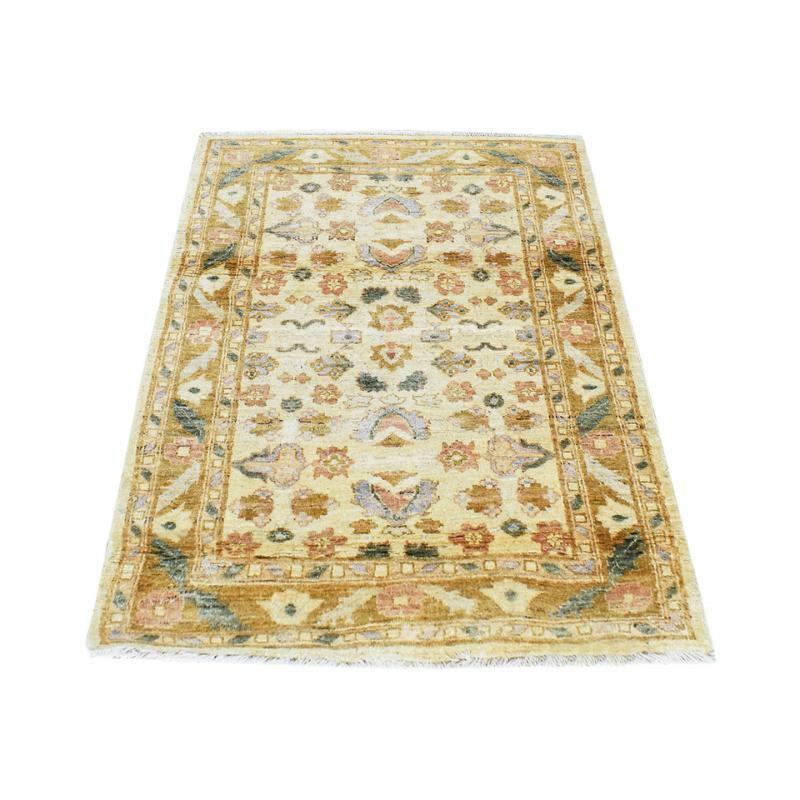 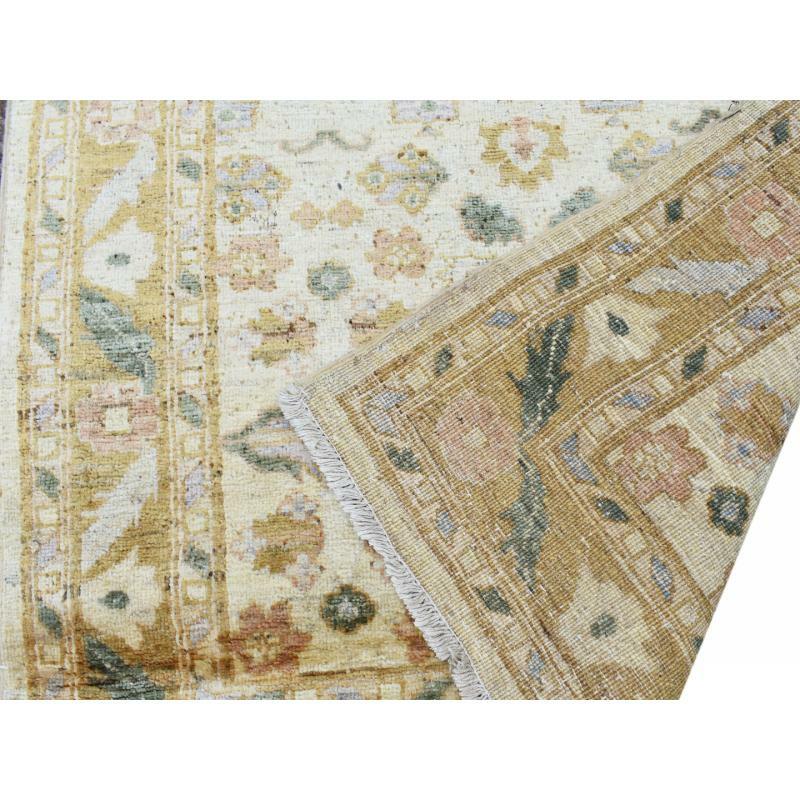 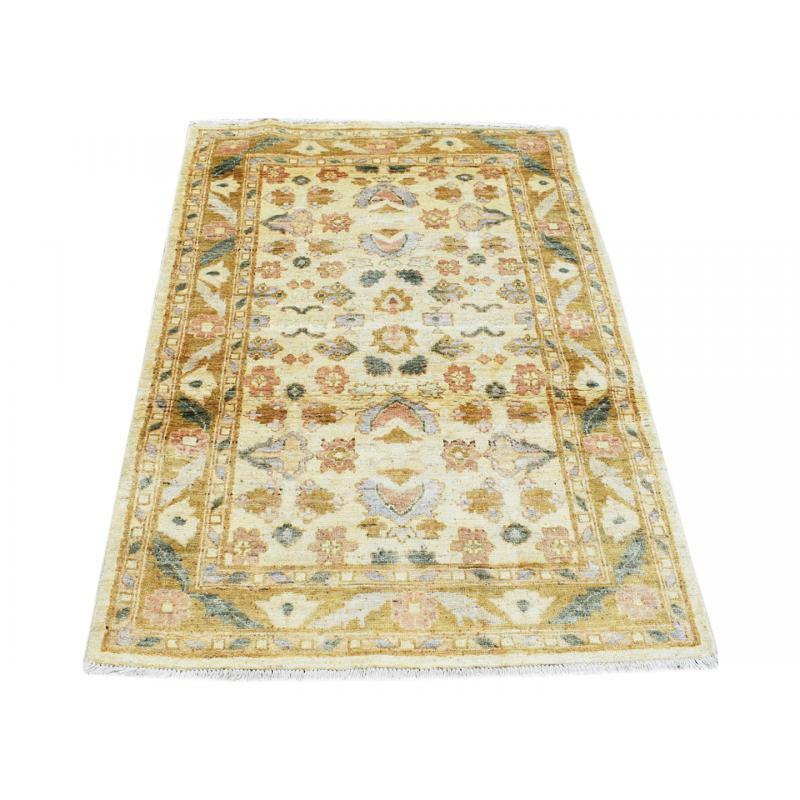 This simple yet elegant Oriental, Afghan Choobi, hand made from wool with an all over leaves design, will add a soft, natural feeling to your room with its subtle yellow blue green colour. 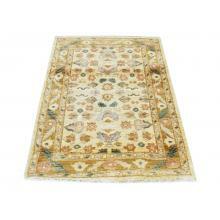 The hand knotted wool rug is vegetable dye & antique wash. 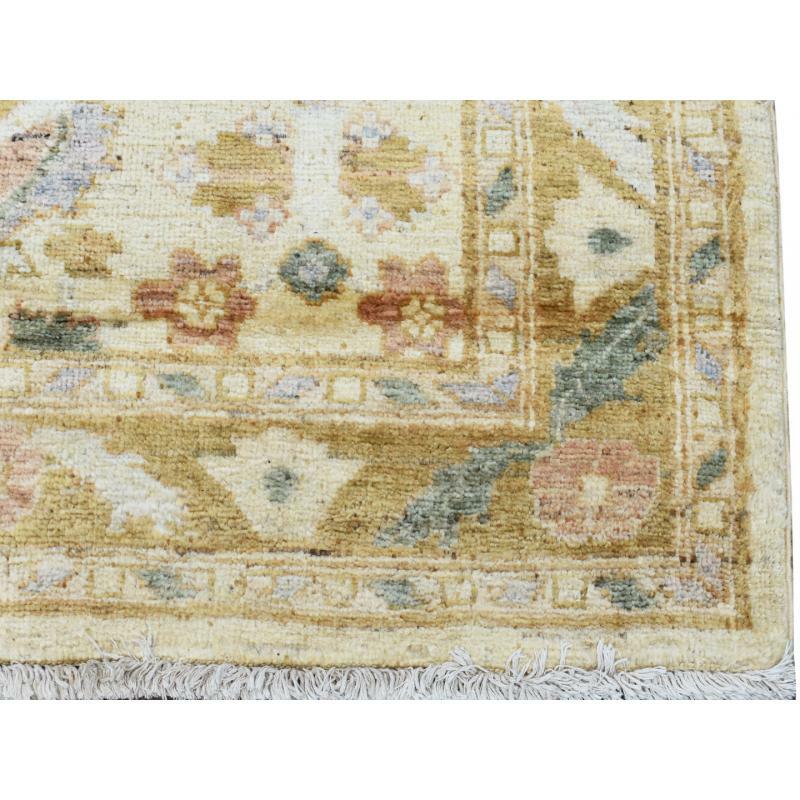 The rug is sized at 3.3 X 5 ft.